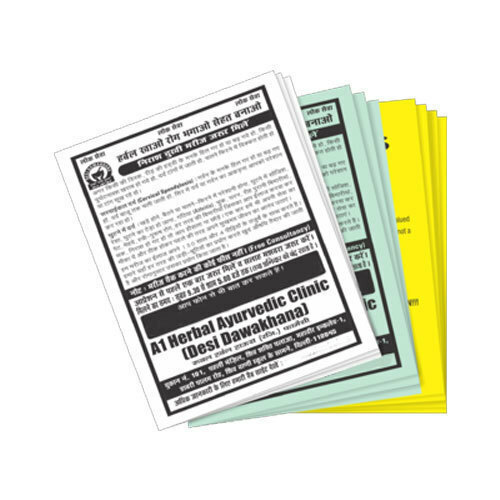 We are proficient to render Pamphlet Distribution Services. This service is rendered under the guidance of skillful employees. To meet the meticulous requirements and demands of our respected customers, we also customize this service as per their necessities. Established in the year 2006, We, “Fleena”, are a reliable Service Provider, occupied in offering Ecommerce Website Designing Services, Graphic Design, SMS Gateway Integration, Wordpress Website Development Service, Static Website Designing Services, Flyer Designing And Printing Service, SEO Services, Digital Marketing, Mobile Apps UI Designs to our clients. The provided services are conceptualized with client-oriented approach to bring the extreme gratification to our patrons. The offered gamut of service is rendered in obedience with the quality constraints by our very capable experts who hold rich understanding in this particular field.